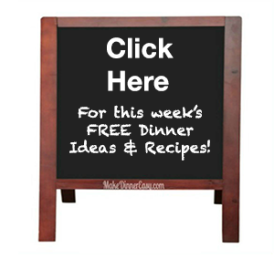 If you are cooking for kids, then kid friendly dinner recipes are a must. As a mom of four, I can attest that there is nothing worse than spending time, effort, and money on preparing dinner only to get a thumbs down from the kids! I have many kid friendly dinner recipes on my site, but I thought I would put the vote to my viewers to ask them what recipes their kids like to eat. Kristy from Oklahoma submitted the recipe for Hamburger Sliders and was awarded the prize of a set of signed books from award winning author J.R. Armstrong a subscriber to this site and the Gold Winner for Fiction: Romance, ForeWord Reviews Book of the Year Awards. Readers are still welcome to submit recipes that kids love. Even though the contest is over, everyone is welcome to submit their favorite kid friendly recipes. Please don't forget to include exact measurements and clear instructions so that others can easily follow your recipe! Entering your comments is easy to do. Just type!... Rest assured, your e-mail address will not be published on the web. I will not sell, or otherwise use your e-mail address in any way, except to contact you when your recipe has been posted, if that is what you have requested. Your comments, and your name, will appear on a Web page exactly the way you enter it here. You can wrap a word in square brackets to make it appear bold. For example [my story] would show as my story on the Web page containing your story. If you are entering your own recipe, please make sure the measurements and instructions are clear. Thai Style Tilapia - "Green Fish"
my family LOVES tator tots and incorporating them into dinner is just a bonus. this dinner is so fast to put together so it makes dinner time a snap! Because everything is better with meatballs. The little ones like helping with the slow cooker on this recipe! If you would like to sponsor a future contest and have a desirable product that viewers of this site would be interested in, please Contact Me.